OK, first a little definition before I get into my point. Dot Marketing – I think I made this one up but let me give you my definition. Dot Marketing is the practice of focusing so hard on a single item, (the Dot), that you can’t see the bigger picture and miss incredible opportunity. Perhaps you are familiar with the parable of the Fly who is so fixated on the window, (insert pile of Crap here), that he continued to beat his head on the glass until he dies, however at the same time five feet away there was a door wide open that would have allowed him to reach his goal. 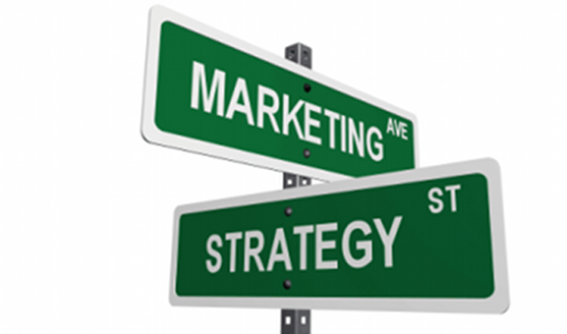 Dash Marketing – The process of working a marketing plan through a complete life cycle. You know the dash, you were born on this date – your were deceased at this date (1959-2011). In business and in life the dash is all we have. We can view it as a journey that will change and adapt or we can view it as a prescribed time in the future to end what ever venture we are on. The point is that is a period of motion and does not stay in the same spot until it ends. I see many businesses today fully focused on the Dot marketing. They jump from one trend to the next and are always blaming to last media for their slow growth. Dot Marketing, Target Marketing, undeveloped Marketing, what ever you want to call it is just a little short sighted. Most businesses forget to develop a marketing plan for their product or service which includes who the target audience is, and how that audience will react to certain media. They buy the marketing package because they like the sales rep or because it is what they think everyone else is doing and forget to check if it one has the right audience and two if the audience size being offered is a good value for the investment they are about to make. By ignoring these two simple pieces of marketing they often find results that are not up to expectations, they design marketing campaigns that don’t fit the audience and they blame the media for their lack of results. This causes a negative feeling and a very powerful mistake in marketing. They focus on the negative results and decide that the audience or vehicle are broken and move on to the next DOT. For this reason I often recommend a Marketing consultant or coach for most small business. Developing a complete Marketing plan and labeling your target audience is crucial to your marketing. But if you do not evaluate your marketing buys to determine how it is a match to your targets how will you ever get the results you desire. It is like being a local merchant who sells windows only to a 50 mile radius and buying PPC ads programs on Google for everyone in the United States and wondering why all the clicks you get are not buying your items. Realize that every marketing plan has a life cycle and that every product you carry as a product life cycle. I am a firm believer that all media works in marketing. However businesses often over pay for the audience based on target and audience size, and they do not create customized marketing for that vehicle and that audience. Last, Stop focusing on the DOT. Take a look around and look for opportunities that you may not have thought of before. With the development of Social Media, Mobile Marketing, Localized PPC search, Local Directories etc.. there are many opportunities to get your message out to unique targeted categories of audience.